Children often find pleasure from thumb-sucking, however, as they get older it can become an embarrassing habit that is difficult to break. This “Stop Thumb Sucking” hypnosis session is 12 minutes long, succinct enough to easily listen to every day and long enough to reach a wonderful state of deep relaxation while breaking your child’s thumb-sucking habit, all at the same time. Instant Download! This is not a CD. You will receive instant download access to this hypnosis session. If your thumb or finger-sucking child is 3 years old or over, it’s time to break the habit. If you wait too long to stop the thumb and finger sucking, your child can have permanent changes to their jaw shape, bite, and teeth. Speech can also be affected. 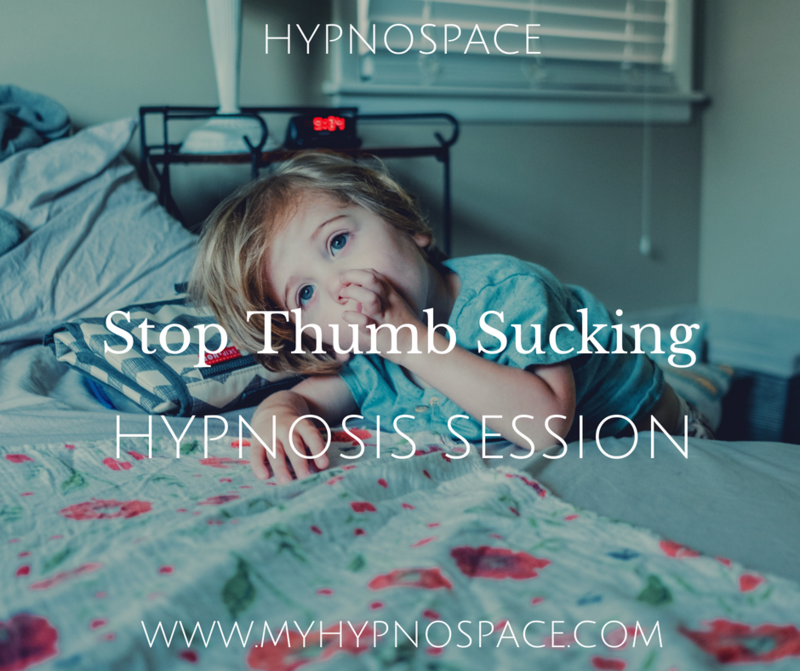 This “Stop Thumb Sucking” hypnosis session is 20 minutes long, succinct enough to easily listen to every day and long enough to reach a wonderful state of deep relaxation while breaking your child’s thumb-sucking habit, all at the same time. Although wetting the bed or having accidents during the day isn’t uncommon for young children, it can still cause a lot of shame and frustration, particularly when kids don’t seem to be growing out of it, or are regressing back into the behavior. When the problem persists after their fifth birthday, it can be a sign of a disorder called enuresis. This “Stop Bed Wetting” hypnosis session is 12 minutes long, succinct enough to easily listen to every day and long enough to reach a wonderful state of deep relaxation while breaking your child’s bed-wetting habit, all at the same time. Symptoms of video game addiction include feelings of restlessness and/or irritability when unable to play. Preoccupation with thoughts of previous online activity or anticipation of the next online session. Lying to friends or family members regarding the amount of time spent playing. This “Video Game Addiction” hypnosis session is 24 minutes long, succinct enough to easily listen to every day and long enough to reach a wonderful state of deep relaxation while healing video game addiction, all at the same time. Instant download! This is not a CD. You will receive instant download access to this hypnosis session.